Adventure Days In Ontario’s Lake Country With Treetop Trekking By Arbraska! You are here: Home / Adventure Days In Ontario’s Lake Country With Treetop Trekking By Arbraska! T reetop trekking by Arbraska is located at Horseshoe Valley Resort in amazing Oro-Medonte, just outside of Orillia. 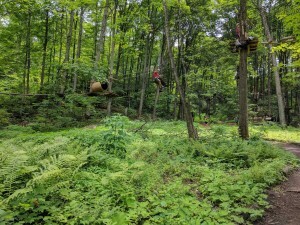 Horseshoe Valley Resort is full of fun and exhilarating activities but this one is definitely unique! Treetop trekking is a great way to get outside to enjoy the outdoors, get some exercise and get your adrenaline going while up in a course! We visited the courses yesterday! The day started with orientation from a guide who explained the basic techniques to complete the courses, how to use the equipment which consisted of your harness, 2 carabiners and a clip for the zip lines, and then a practice course was done before you headed to the big courses! The orientation explained the safety equipment, rules while on the course and consequences if these rules were not followed. The guide was very nice and informative but in an energetic and outgoing way! The orientation was very helpful but the courses was where the fun began! There are a variety of courses throughout the treetop trekking area with different skill levels and obstacles such as swinging logs, nets, bridges and zip lines! Other activities are available such as the Big Zip and Adrenaline Jump! 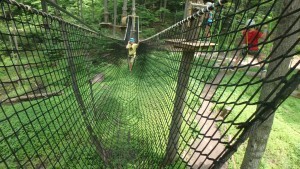 The Big Zip seemed very steep and fast but while I zipped down the line, it was amazing to see the forest and area! This is definitely a great activity to try this summer and making a reservation is easy! Book your reservation, check out their listing, or if you are looking to go with a group or special event call their office, 1-888-733-8679! 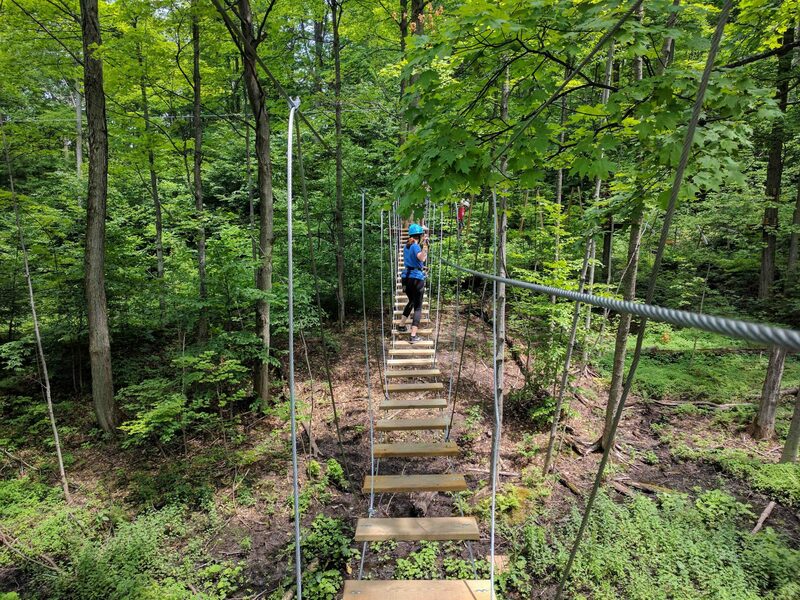 Treetop trekking is a great way to explore nature in Oro-Medonte and also getting yourself out of your comfort zone while trying an amazing and safe activity this summer! It was for sure, an unforgettable experience!